A drug dealer has been jailed for six years for his role in a “county lines” conspiracy to sell heroin and crack cocaine in Brighton. “County lines” is used to describe the way that gangs and dealers from cities such as London use single phone numbers to market and sell drugs in places like Brighton and Hove. Amir Khan, 23, of Old Kent Road, London, used a 16-year-old boy to carry out drug deals on the streets of Brighton as detectives watched. Sussex Police said: “He was arrested as a result of a surveillance operation by detectives from the Brighton Community Investigation Team who target drug dealing and other serious crime in the city. “They watched as he supervised a 16-year-old boy carrying out a street drug deal on (Tuesday) 23 January 2018 and followed them both to a nearby flat where they found cash, heroin and crack cocaine ready for sale. “Following his arrest and bail he went to Kent where he was seen to engage in more drug dealing and was arrested again. 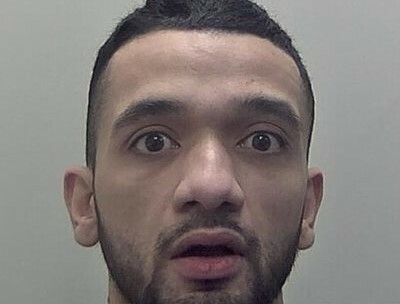 “Khan was given 30 months for offences in Brighton and 45 months to run consecutively for offences in Kent. Khan was jailed at Hove Crown Court last month by Recorder Mark Heywood. He had also pleaded guilty to two counts of conspiracy to supply class A drugs in Canterbury, Kent, in October and November last year. He was arrested as part of a Kent Police investigation into a county line operating from Woolwich into Canterbury. Investigating officer Detective Constable Peter Frampton said: “Khan was linked to a telephone number that we knew sent out bulk messages daily to drug users in the Canterbury area offering class A drugs. Kent Police said: “On Wednesday 24 October 2018 officers from Canterbury’s Community Policing Team searched a Ford Fiesta parked in Hanover Place, Canterbury, and found a small cylinder metal tub containing 16 wraps of crack cocaine and 41 wraps of heroin. “Cell site data showed that Khan had travelled to Ramsgate that day to meet with the owner of the car in which the drugs were found. It also placed him in Canterbury at the time officers searched the car. Detective Constable Frampton said: “The arrest was made as part of an ongoing initiative known as Operation Raptor, which is designed to tackle, disrupt and prevent violent crime and the possession of offensive weapons as well as the supply of class A drugs. “We have evidence that Amir Khan was running this drug line into Canterbury from Woolwich and made regular trips to the city to deliver heroin and crack cocaine, happy to make money out of the suffering of others.